When realizing Holy Week starts this Sunday, one might find yourself taking a long, deep breath. For some, it may be because Lent is almost over and whatever Lenten discipline you have practiced is about to be accomplished. For some, it may be to stay calm because you are so excited about Easter! For Chorale members and musicians it may be because of all the music yet to learn and share. For church office staff everywhere, it may be because of all of the bulletins they will need to print next week. And for some of us, it may just be because Holy Week is a lot to process. Holy Week evokes so many essential elements of our Christian faith in such a brief window of time: humility, servanthood, joy, sin, forgiveness, Holy Communion, and amazing grace through the life, death, and resurrection of Jesus Christ. It's so much we take the entire church season of Lent to prepare. But this incredible density of meaning is also what makes Holy Week so enriching and powerful. Next week, while some worship may begin to feel like a celebratory party with a parade and even party favors (Palm Sunday), it quickly turns to remind us of Jesus’ sacrifice. Some worship services may call you one step past your comfort zone, like the optional foot washing at our Maundy Thursday evening service. Some services will be beautifully solemn. And one will offer the excitement of moving from the sanctuary in darkness to bells ringing and lights blazing. Each worship service deepens, builds on, or adds perspective to the one before it -- all leading up to the most definitive moment of the Gospel . . . So get ready for Easter by joining us in worship throughout Holy Week. 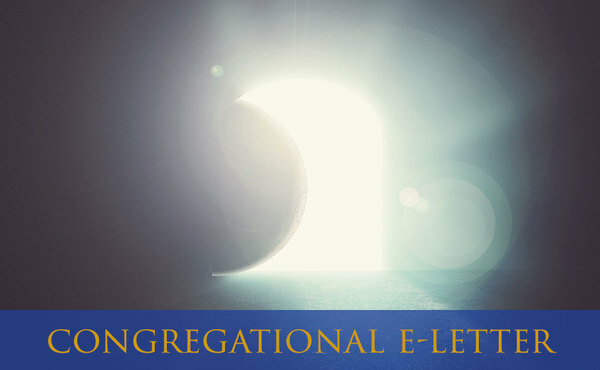 We are excited to take this journey together as a faith community, and you are invited. Receive your own palms as we remember Jesus’ entrance into Jerusalem. Each worship service will begin out on the front steps of our building on Broadway, and process with palms into the sanctuary. Experience Holy Communion, foot washing (optional), and the stripping of the altar, as we remember Jesus' last supper with his disciples. Worship at 7:30pm in English | Features a reading of the Passion with music by the Advent Chorale and an instrumental ensemble, based on the last words of Jesus, combined with powerful quotes by modern-day martyrs such as Dietrich Bonhoeffer, Oscar Romero, Harriet Tubman, Sojourner Truth, and more . . .
Worship at 9am & 11am in English, and 12:45pm in Spanish | Join us in celebratory worship on this joyous Easter Sunday! 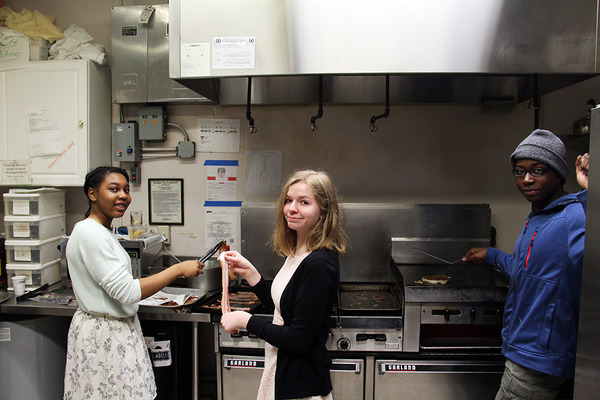 Before or after worship, enjoy the fellowship of your faith community and a delicious, hot breakfast at our annual Easter Breakfast youth group fundraiser, which goes from 10am-12:30pm. Your breakfast on Easter is covered. Come support our Youth Group and enjoy more time with your church family on Easter! Our Easter Breakfast youth fundraiser goes from 10am-12:30pm on Easter Sunday. Located downstairs in the basement fellowship hall, it's the most convenient place you'll find to get breakfast after 9am worship, before or after 11am worship, or before 12:45pm worship on Easter morning. This year, adult volunteers are helping to bring delicious new egg casserole recipes to our menu, and Pastor Mills is providing the ham and sausage fresh from his family's farm. Translation: This year our breakfast is going to be extra delicious. The recommended donation is $10, and our goal is to raise over $500 for the Youth Group. Donations of all sizes are all appreciated. Giving is not required to join us for food and fellowship on this special morning. All are welcome! Help us invite new people to worship with us this Holy Week! Holy Week is a great time to be doing some outreach to our community! 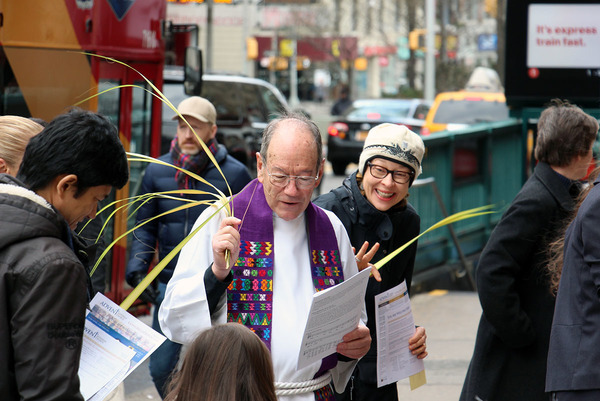 We are looking for volunteers to give an hour or two to hand out palms and Holy Week postcards outside our building on Broadway this week, after each worship service on Palm Sunday, and a few afternoon/evenings in Holy Week. Click here to see the available times and let us know you're interested. 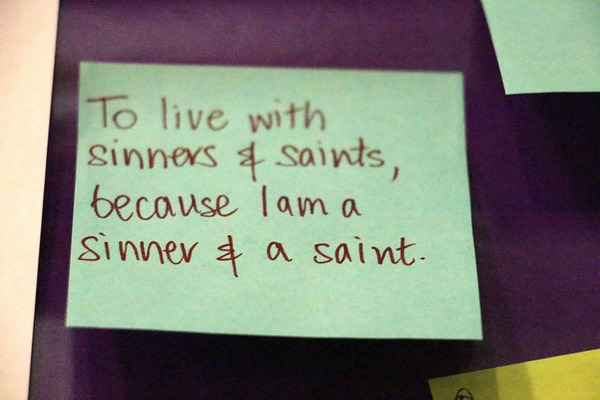 We just updated the "Colorful Insights" photo album from our Wednesday Evening Worship services in Lent to include photos of the thoughts people shared on post-it notes last week. Check it out here. And come join us for our final Lenten evening service exploring how we live out our baptism identity, with the jazz-inflected musical leadership of Deanna Witkowski, and a reflection by Pastor Charles Miller on the theme, "To strive for justice and peace in all the earth." 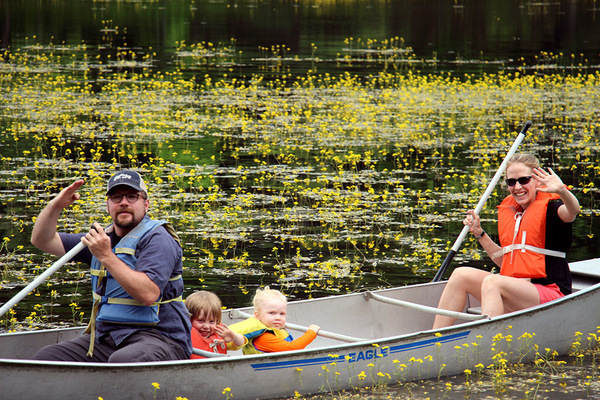 Join us August 4-6 for a weekend of intergenerational fun, relexation, community, and faith. If you’d like to be part of planning the retreat, talk to Tanya Kent who can be reached at tanya.e.george@gmail.com. Join us Sunday, April 30 for an ice cream party and information session about the retreat after 11am worship. As Lent is coming to an end, our “God’s Global Barnyard” drive led by our Sunday School families, supporting March’s Mission of the Month, ELCA World Hunger, is wrapping up. We’re collecting Lenten banks this Sunday, April 9 (Palm Sunday) during the offering in each worship service. If you have one still at home, please bring your Lenten Bank back with you to worship this Sunday! Thank you for your support of "God's Global Barnyard"! We'll share in a future e-letter soon how many animals we provided to feed this hungry world. What ministry or group will you be involved in this month? There are even more ways to connect in fellowship and service this April! Adult Conversation | Meets at 10:10am in the basement fellowship hall. This Sunday our topic is "Holy Week and the Triduum" led by Pastor Mills. Our Mission of the Month for April is Lutheran Ministries in Higher Education (LMHE). LMHE supports Lutheran and ecumenical campus ministry for college and graduate students in New York City. LMHE’s ministries include the citywide Vine NYC College Ministry Network and Advent’s own LaMP Campus Ministry in Morningside Heights. LMHE helps young adults connect to supportive Christian communities, grow in faith and claim vocations of service to neighbor during their transformative student years. Learn more at thevinenyc.org.